It seems that America is torn every time you switch on the news. All we seem to be hearing about is devastation, destruction, political dramas and crime. Now, a lot of people are starting to believe that this is America, but it’s not all bad. In fact, there are a lot of truly awesome people out there who don’t get praised enough. 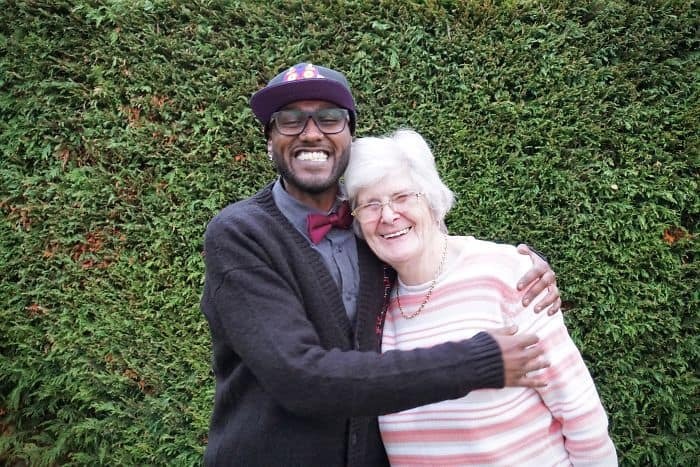 We need to remember that there are a lot of good people who do truly amazing things. If you’re going to picture the United States for anything then these heroes are what it’s all about. If this is America, what a place to be! So let’s have a gander at the list below. 1. 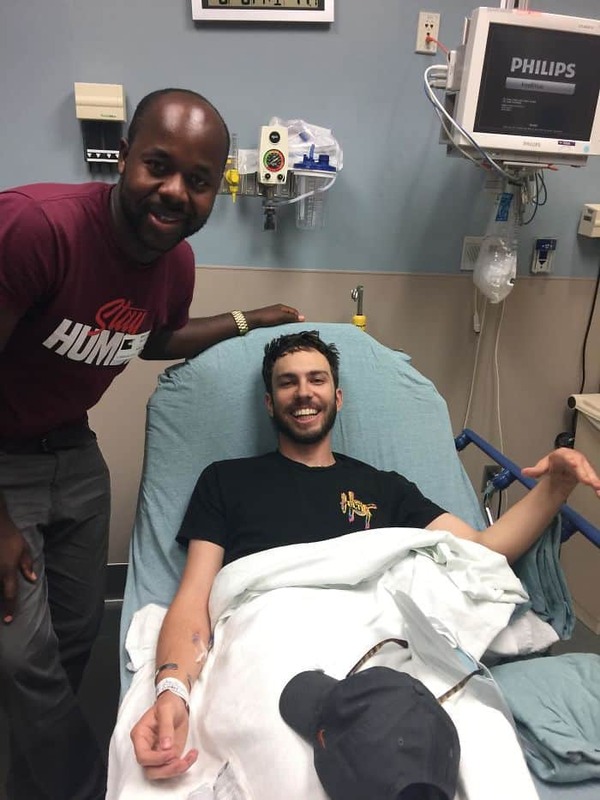 A man was taken to hospital but his family lives out of the state, so his Uber driver, Beni, has been keeping him company. 2. 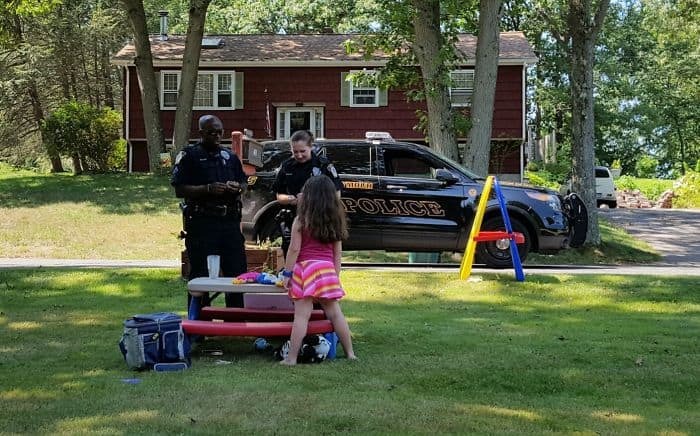 A police officer talked a man out of committing suicide. 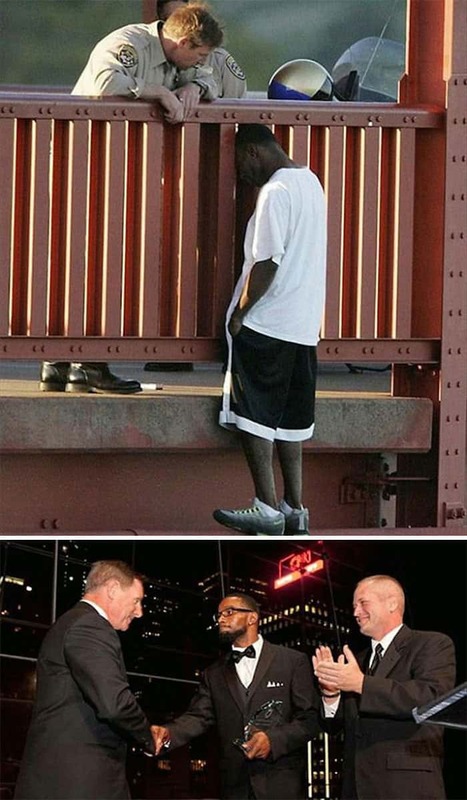 8 years later, the man is now a father of two and he got to present an award to the officer at the American Foundation of Suicide. 3. 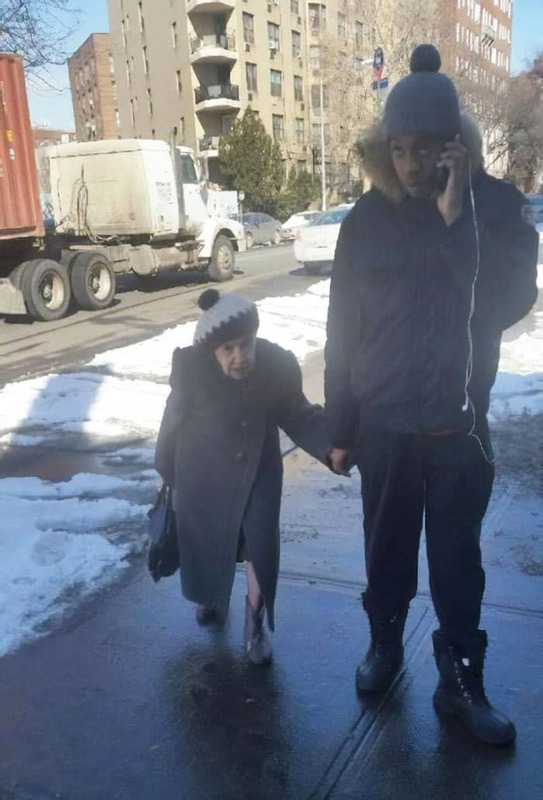 An elderly lady asked a young man to walk her home because she was scared of falling on the ice. This was a few months ago – the two are now firm friends and he walks her home almost every day. 4. 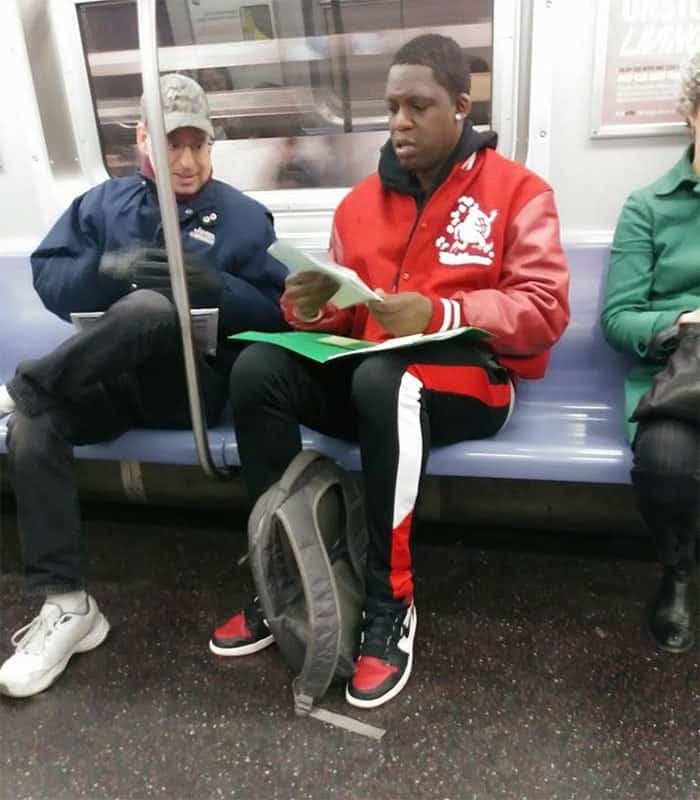 A man needed help understanding his son’s math homework – thankfully, he was sat next to a math teacher. 5. 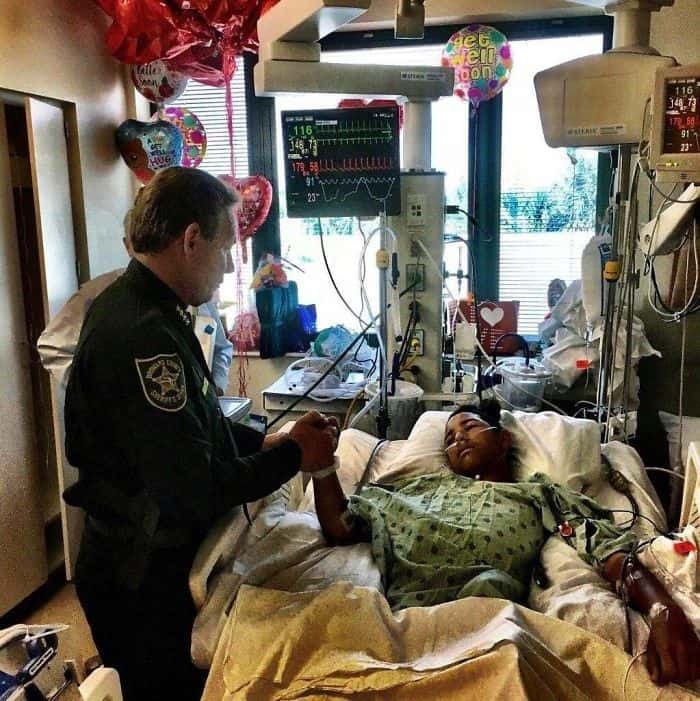 15-year-old Anthony Borges used his body to barricade a classroom door to protect 20 other students inside. The gunman fired through the door, hitting him 5 times. 6. 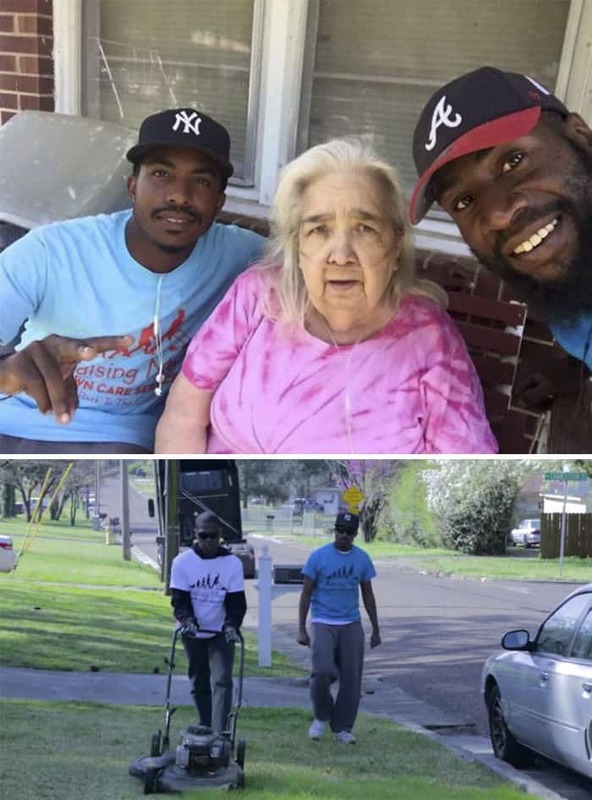 These boys see the same homeless man every day on their way to school so they decided to help him out. 7. 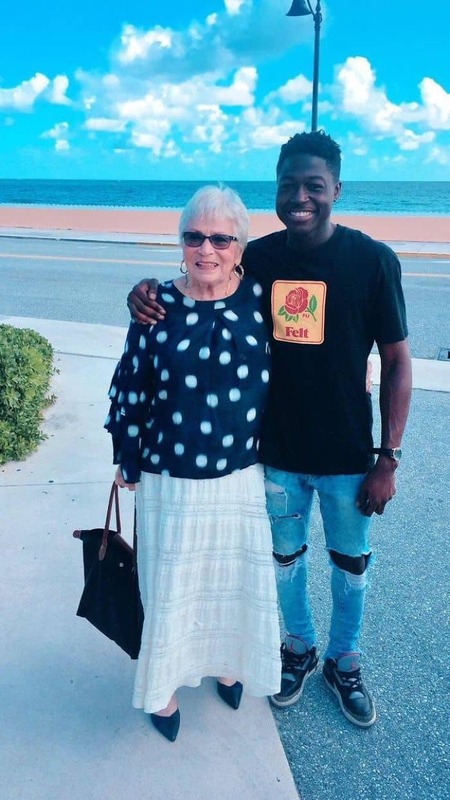 A 22-year-old man from Harlem became friends with an 81-year-old lady who he met playing ‘Words With Friends’ over the past year. Eventually, he decided to travel to Florida to meet her in person for the first time. 8. Pararescueman Sgt. 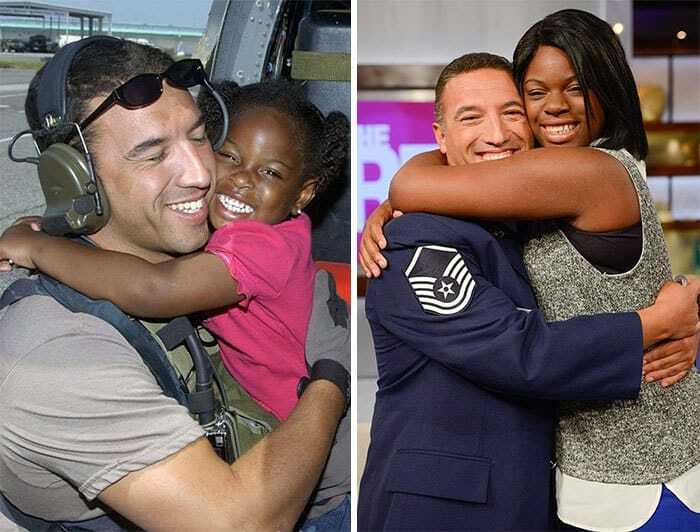 Mike Maroney was reunited with a girl whose life he saved 10 years ago during Hurricane Katrina. 9. 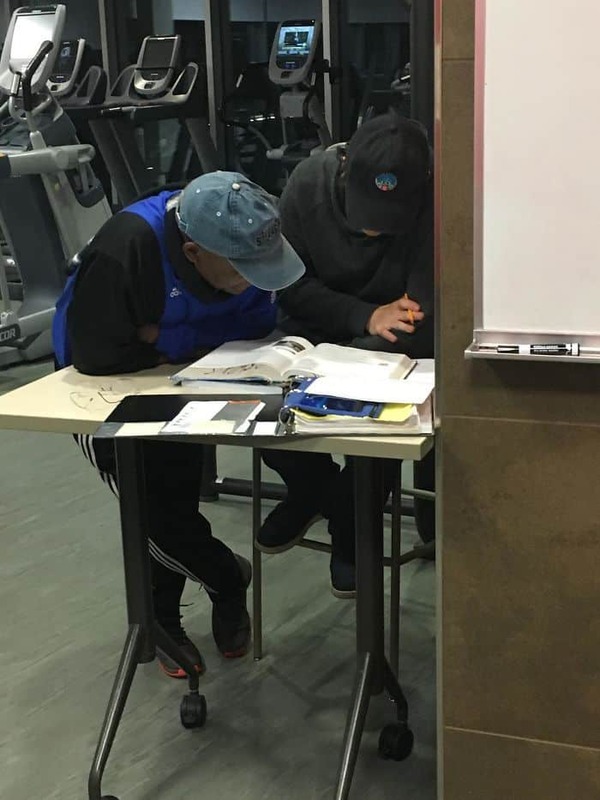 One gym-goer noticed this man helping an employee with calculus everytime he went to the gym. 10. 15 years ago, this lady took in a young man. He now calls her Grandma and spends every Christmas with her. 11. 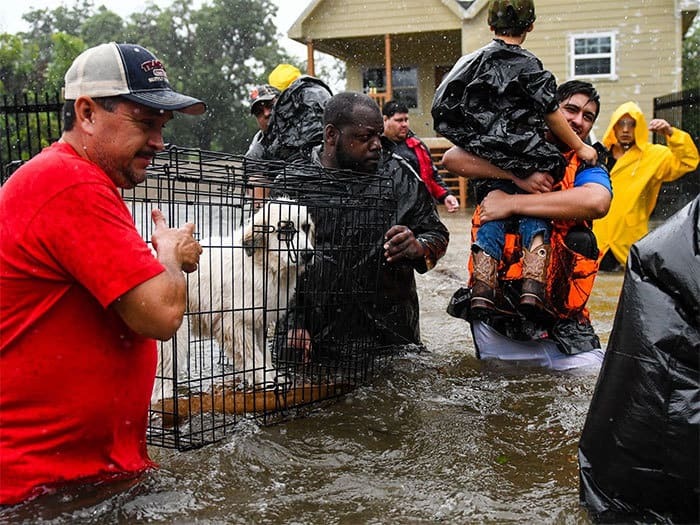 The countless volunteers who helped the flood victims evacuate Houston. 13. A kind-hearted police officer who kept this elderly man company at the bus stop and helped him onto the vehicle. 14. 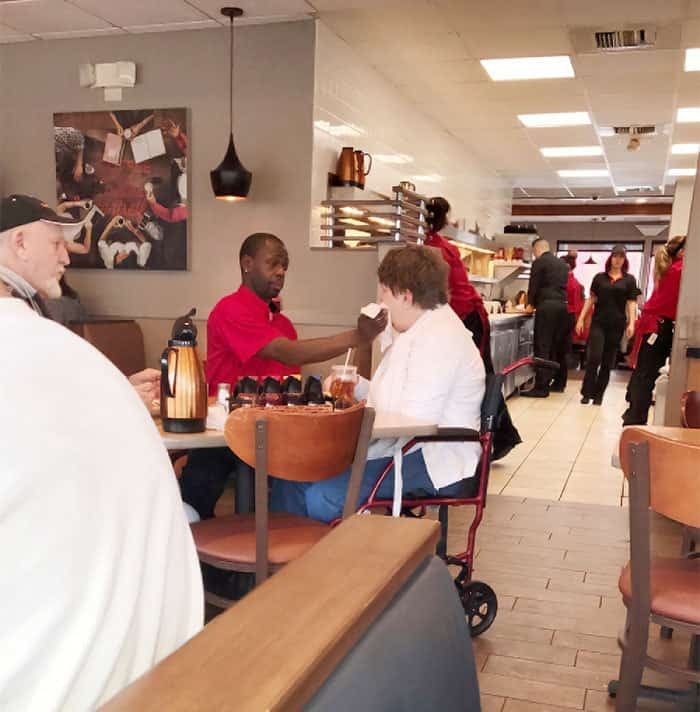 This waiter who helped feed a disabled lady so her husband could finish his meal. 16. 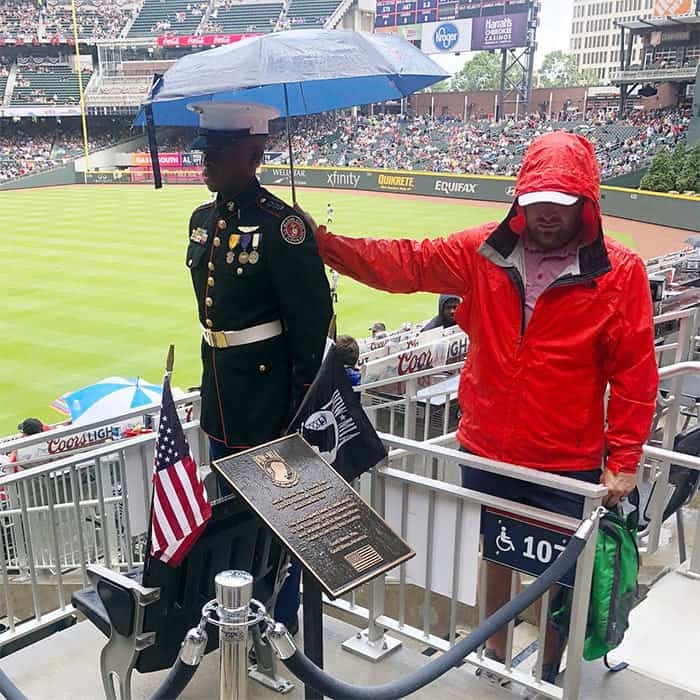 A patriotic baseball fan holds an umbrella over a JROTC member on Memorial Day. 17. A local group helps the elderly, disabled people and single parent mothers by cutting their lawns for free. 18. 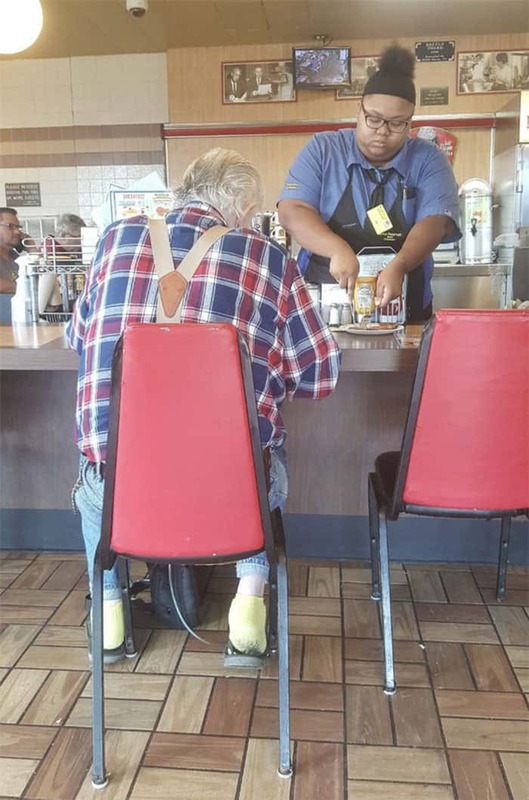 An elderly man was struggling at a Waffle House in La Marque, Texas. The man told the waitress that he was struggling with his hands. He was also on oxygen and struggling to breathe. Without a moment’s hesitation, she began to cut up his dinner for him. 19. 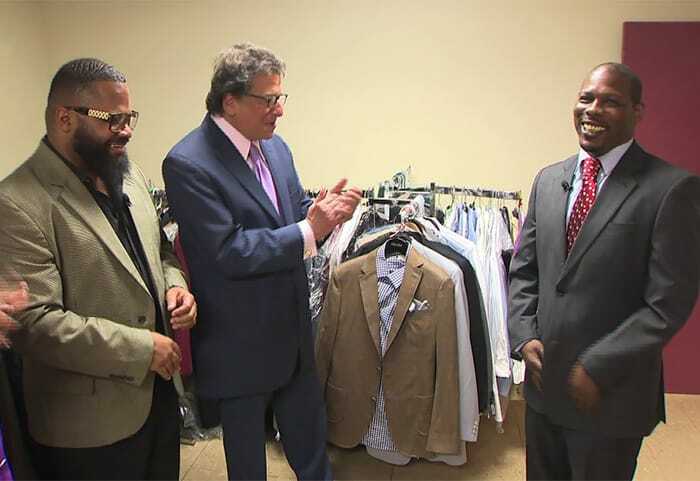 ‘100 Suits’ is a nonprofit organization that gives new suits to men getting out of prison in the hopes of giving them a fresh start. 20. 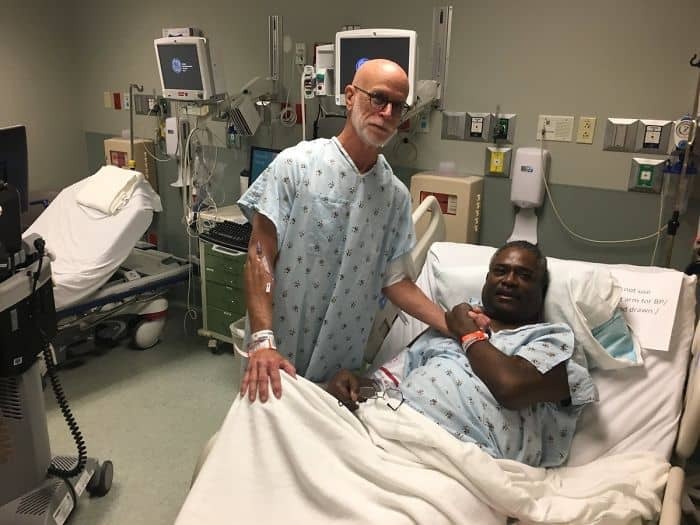 This man needed a kidney transplant. 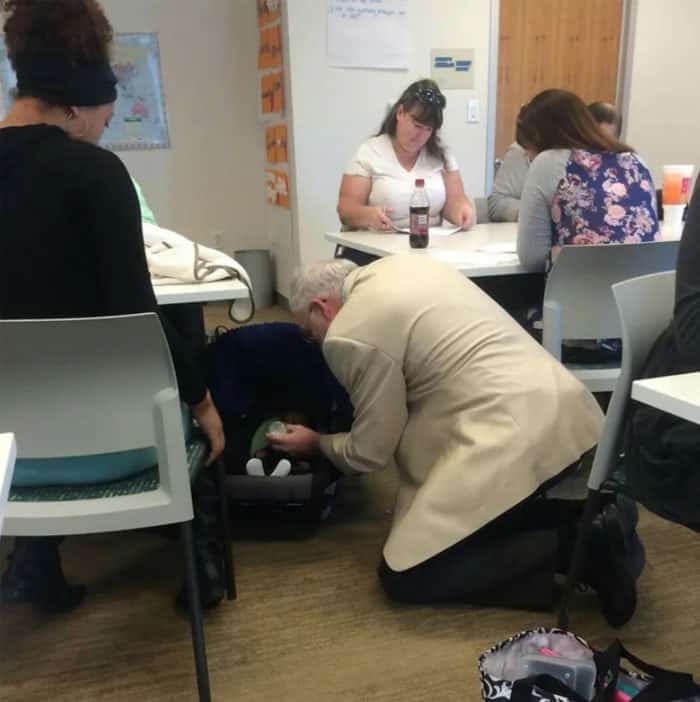 A classmate from 50 years ago who he barely knew, answered the call to help him out. Don’t be fooled by the negativity in the world, this is America. Furthermore, it’s kindness, compassion, and friendliness. In fact, it’s what makes America great.